.... it would take thousands of years for atmospheric CO2 to return to ‘pre-industrial’ levels. "The climatic impacts of releasing fossil fuel CO2 to the atmosphere will last longer than Stonehenge," says University of Chicago oceanographer David Archer. "Longer than time capsules, longer than nuclear waste, far longer than the age of human civilization so far." It takes a long time for deep oceans to bury the carbon dioxide in ocean sediments. 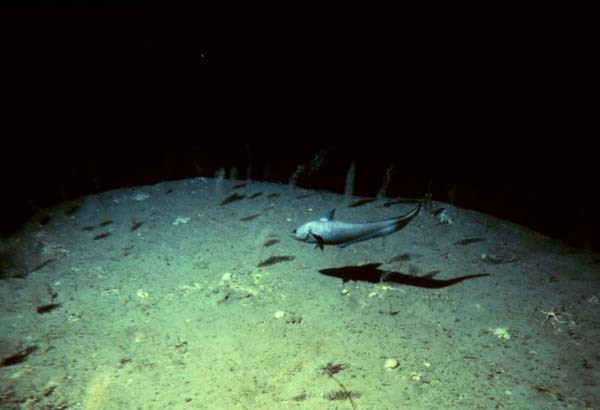 Lifee on the abyssal sea floor (depths ranging from 4000-6000 m) near the Hudson Canyon off the coast of New Jersey. Photo taken using the Deep Submersible Research Vessel (DSRV) Alvin'scamera system. Image courtesy of Deep East 2001, NOAA/OER. Surface temperatures would stay high for at least a thousand years. Humans would face a warmer planet due to past and current emissions. Ice would still be melting from places like Antarctica and Greenland. So sea level would continue to rise for many centuries, even after temperature stopped increasing. A new study published in Nature Climate Change looks at the next 10,000 years. The researchers found that the catastrophic impact of another three centuries of carbon pollution will persist for thousands of years after the carbon dioxide releases cease. 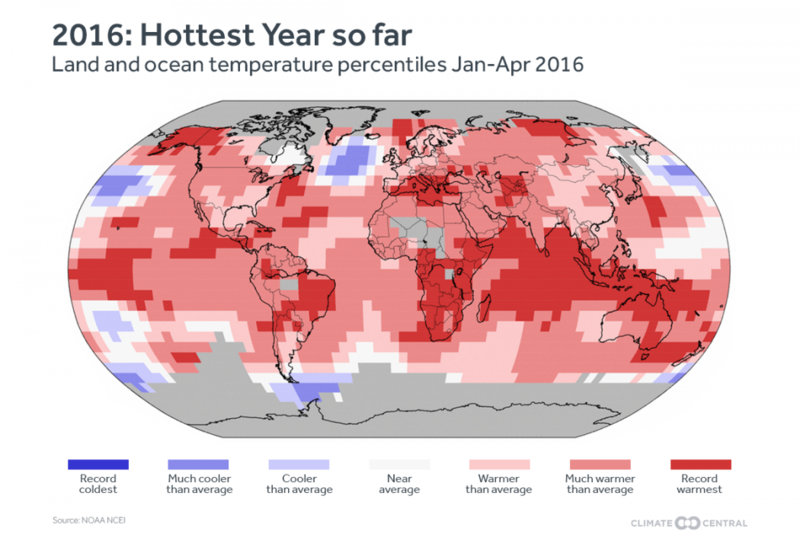 The current warming of the Earth can't be reversed on a human timescale. But if fossil fuels are not phased out soon, the situation will be far worse. 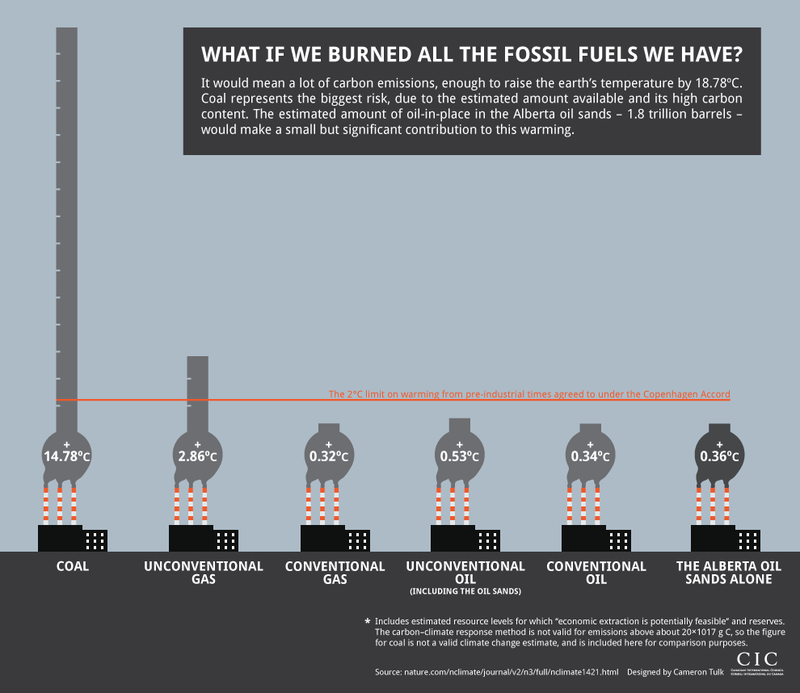 “Burning all fossil fuels” would warm land areas on average about 20°C (36°F) and warm the poles a stunning 30°C (54°F). Calculated warming over land areas averages approximately 20°C. Such temperatures would eliminate grain production in almost all agricultural regions in the world. The amount and rate of further warming will depend almost entirely on how much more CO2 humanity continues to emit.